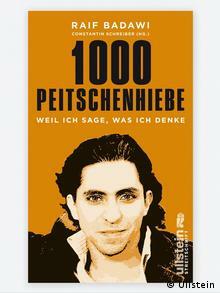 Raif Badawi's articles, translated into German and compiled in the book "1000 Peitscheinhiebe" ("1,000 lashes"), are filled with irony. Yet one can hardly enjoy the humor without being haunted by the shocking sentence imposed on the Saudi blogger. How could these texts, which appear so harmless from a Western perspective, lead to 10 years of prison, 1,000 lashes and a fine of 1 million riyal (about $266,000)? There can only be one explanation for such a punishment: Saudi Arabia's religious establishment is very nervous. Badawi expresses ideas which are shared by many Saudi citizens and it is getting harder and harder to stop them from circulating publicly. Badawi writes about - as he puts it - the spectacular ways in which Arab society is suffering under the weight of theocracy, while clerics refuse to accept anything less than complete obedience from the population. From the blogger's perspective, "They are doing business with the minds of the people." Clerics wouldn't want to suddenly lose their power, which explains why they so fiercely protect their teachings from public criticism. Badawi provides an example to show how the Saudi clergy deals with the slightest offensive suggestion. The Saudi author Turki al-Hamad wrote in a novel: "God and the Devil are two sides of a same coin." This sentence, beyond the fact that it was written in a work of fiction, was meant to be completely harmless: the author simply wanted to say that God is defined by its opposite. Yet the Saudi clergy spent years attacking Turki al-Hamad for his choice of words. According to them, he put God and the Devil on the same level. The author once gave a televised interview to try to explain what he meant with his book. Religious TV stations repeated the clip of Turki al-Hamad saying that sentence over and over again in their own shows. Their cynical methods aimed to ruin his reputation in religious Saudi Arabia. But is the country really that pious? After reading Badawi's texts, one can't help but think: not completely. Women are especially affected by the polygamous system in place. A wife - one among many others, of course - cannot expect any material support from her husband, not even a place to live or child support. On the other hand, she must always make herself available to her husband's desires. 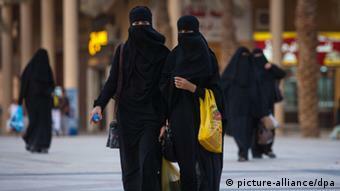 There are many names for this kind of sexual arrangement in Saudi Arabia. Badawi calls them "animal marriages." Badawi shares several of his grievances in his book. No Christian missionaries are allowed to work in Saudi Arabia; no churches can be built: A demonstration of religious intolerance in his country's version of Islam. He is irritated by zealots who show "pseudo-Islamic chauvinistic arrogance towards other people." These excerpts clearly demonstrate that Badawi isn't specifically opposed to Islam. His criticism is not against religion as such. He rather criticizes the intolerance shown by some authorities. He already observed signs of such intolerance during the Arab Spring. He wrote in February 2012: "There is a systematic mass mobilization in progress and ordinary citizens are being sprayed with religion and religiosity - or least the Islamists' interpretation of it. (…) They're loudly warning against everything related to culture and education. From their point of view, this somehow equates to heresy, atheism and blasphemy." 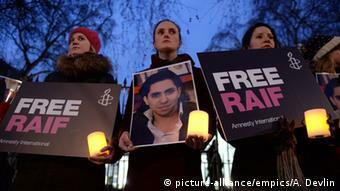 For such criticism, Raif Badawi was sentenced to 10 years of prison, a heavy fine and 1,000 lashes. Saudi Arabia has decided to silence one of its best minds as a cautionary tale for those who would dare think like him. There are certainly many others who do. Badawi is not the only one who is locked up - many other Saudi thinkers are behind bars. Imprisoning its free spirits is a questionable move for a rich country like Saudi Arabia: It may well define the shape of its future.